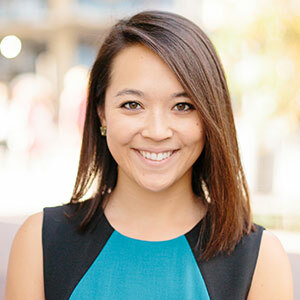 February 4, 2019 Keara Mehlert is the Property & Development Services Program Director at Arlington Transportation Partners. She has been car-free and loving it for the past five years and has been biking 5.5 miles to work every day since October 2012. ATP Takeaway: ATP recognized 243 Champions at last week’s annual awards banquet, with special recognition for Five Year Champions and Arlington Partnership for Affordable Housing. Speakers included Keynote Michael Kodranksy, County Board Chair Christian Dorsey, and Director of Transportation, Dennis Leach. Last week, over 130 guests braved the polar vortex to attend Arlington Transportation Partners’ (ATP) annual Champions awards banquet, held by our venue sponsor, the Crowne Plaza National Airport Hotel in Crystal City. 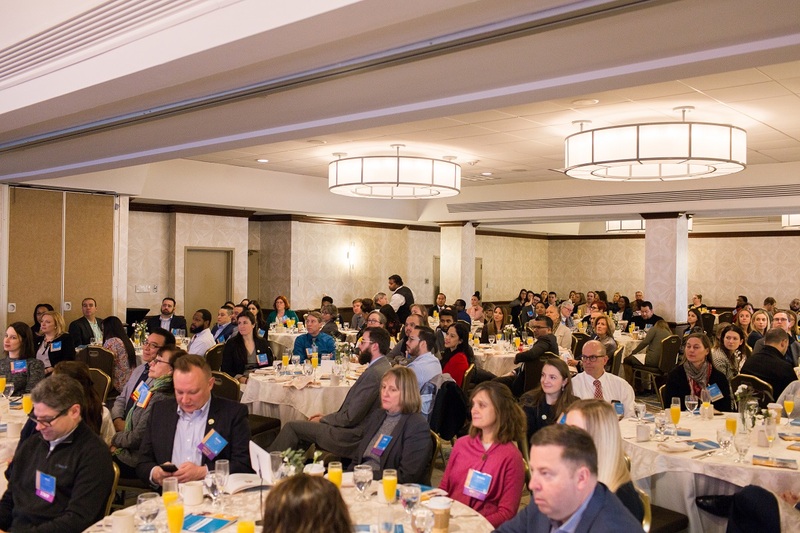 For the fifth year, we were excited to celebrate 243 employers, commercial office properties, multi-family residential communities, and hotels who were part of the program in 2018. These businesses demonstrated a commitment to provide sustainable transportation programs to their employees, tenants, and guests—ultimately contributing to a reduction in traffic congestion. In addition to the 243 Champions, the banquet highlighted additional achievements from the past year that made 2018 the most successful year of the program. ATP was also proud to present the first Outstanding Partner of the Year award to Arlington Partnership for Affordable Housing (APAH), who was recognized for their tremendous commitment to ensuring their residents have access to affordable ways to travel. APAH has been exceptional in their participation in the Capital Bikeshare Community Partners initiative, hosting resident Capital Bikeshare events and actively promoting the initiative as part of their resident services. Two members of Arlington’s leadership spoke about the importance of the Champions program and its impact on Arlington’s overall goals and values. Dennis Leach, Arlington County’s Director of Transportation, discussed several themes focused around “disruptive change” and Arlington’s core community values. Leach emphasized that transportation and development policies have been key to the long-term sustainability and resiliency of Arlington, despite recent challenges such as office vacancy and transportation funding issues. Champions and the initiatives implemented by businesses are part of Arlington’s core values and directly contribute to making the County a great place to live, work, and visit—ultimately attracting major businesses such as Nestlé and Amazon. County Board Chair Christian Dorsey echoed Leach’s comments and praises, stating the work that Champions do when it comes to sustainable transportation helps Arlington reach its goals in economic development, transportation efficiency, and climate change. Dorsey also gave kudos to Arlington as a great place where the business community “gets it” when it comes to the commitment in providing multimodal transportation options. This year, ATP invited Michael Kodransky from The Institute for Transportation and Development Policy to give the banquet keynote. The core subject of Kodransky’s keynote was about the transportation and real estate trends that affect cities and populations throughout the world. In particular, he discussed how urban development policies can have a major impact on transportation patterns and how people interact with the built environment. Many of his key points provided a different perspective to show the Arlington business community that some of the challenges the County faces, such as parking pricing and availability, are similar in other urban areas. Kodransky’s discussion made it clear that Arlington’s historical focus on encouraging development and density in the Metro corridors has resulted in the livable, walkable community that has made the County an attractive place to live and work today. This year’s video was again a highlight of the banquet, featuring anecdotes and stories from clients in our employer, commercial, residential, and hotel programs. With new developments and transportation changes happening this year, businesses and the real estate industry will continue to be a significant factor in reducing traffic congestion and making Arlington a resilient and competitive community in the region. ATP is excited to continue working with so many great partners in 2019, and looks forward to adding more programs and initiatives through the Champions program. Join Champions and start your transportation journey for 2019.